Rachel Moriarty is the Director of Operations at the Schumacher Center for a New Economics, where she manages the organization so it can effectively house both its national and local programs. In the Berkshire region of Western Massachusetts, she helps implement the Schumacher Center’s practical applications of new economic thinking. She works to educate the community in which she grew up about tools for achieving economic justice with BerkShares local currency and the Berkshire Community Land Trust. Through the Community Supported Industry initiative she engages her community members to think about opportunities to produce locally for local consumption as a way of filling in the gaps in the local economy. Her connections with local people and knowledge of local institutions provide a cultural context for establishing meaningful connections and effecting systemic change in the region. Rachel Moriarty received her B.S. in Sustainable Food and Farming from the University of Massachusetts, Amherst with a concentration in community organizing. 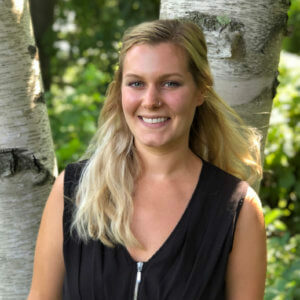 Prior to working with the Schumacher Center, she worked with two small non-profits in the Berkshires to engage young people with the local food system, and facilitate connections between local farmers, restaurants, and consumers.